School is not all about the prescribed curriculum. School is an opportunity for young people to learn about themselves whilst in a safe environment. School should provide guidance for student growth, in both creating a moral structure and provide the opportunities for students to bloom. I have often felt I was most effective in my role of empowering young people when I do just enough. Sometimes this will involve showing them how things are done but more often than not it just involves telling them that they can. When I arrived in Bangkok I was concerned that to many students never had the opportunity to take part in an actual rock n’ roll style gig, and learn from that experience to take more risks. For this reason I started the Mixed Up concerts. However, I soon became equally concerned that students did not have the confidence or know how to put on such an event. By the second year the event was being run by a student team with me acting as a facilitator. 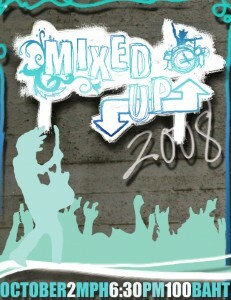 The Mixed Up event is now a permanaent fixture on the school calander and is always run by a student team. As houseroom teacher I briefly get the chance each day to get to really know the students beyond the science class. As I know more about them I can relate better to them. I am also in a more powerful position to reason with them, and discuss what is right and wrong. If there is an issue with a teacher or another pupil to try and bring them together so they both better understand the differing viewpoints (it is often such a misunderstanding which leads to unfortunate situations). 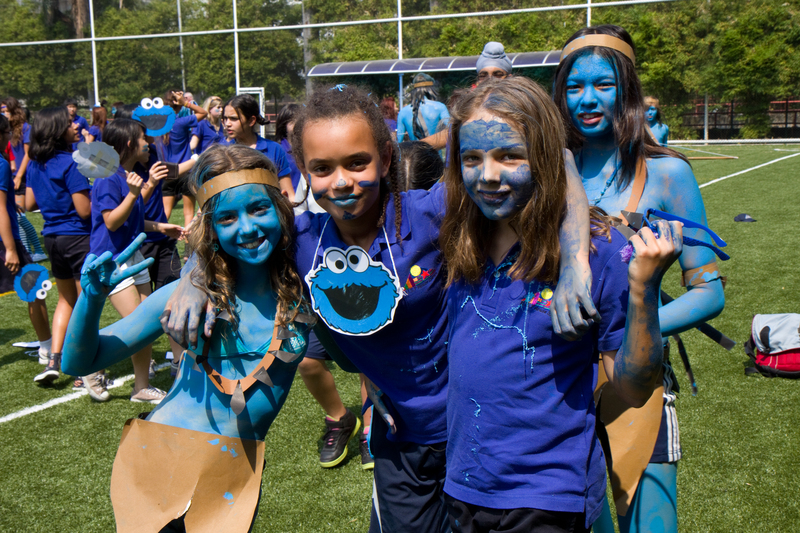 A little bit of positive spirit can go a long way – as you can see in the Spirit Day picture with the dedicated Avatar contingent. As the Blue House Coordinator I helped student leaders and houseroom representatives arrange the annual Spirit Day activities and other events through the year (dances, games and competitions). When I first became a house leader because I did not feel the students had a chance to really express themselves. Timing is everything, and I became part of the pastoral review team. My ideas led to the creation of the APS (Action, Performance and Community) programme in year 7-9 where students developed team work skills and an increased awareness of what they can do for the community. Followed by i-choice in years 10 to 13 where students are given 6 week blocks to work on projects proposed by both students and teachers. I have run both student and scout leadership training. Scouting included the training of Young spokespeople so they were ready to be the voice of the movement (I was lucky to end up taking this training onto a world wide stage). I would like to see student leadership training to evolve in the same way students do. Below is a scheme I have yet to get off the ground but am still trying.